The daily inundation of horrifying global news is enough to make us shut our computers and never want to interact with the Internet again, but every now and then a story surfaces that makes us thankful for humanity. Enter: The Keedz. 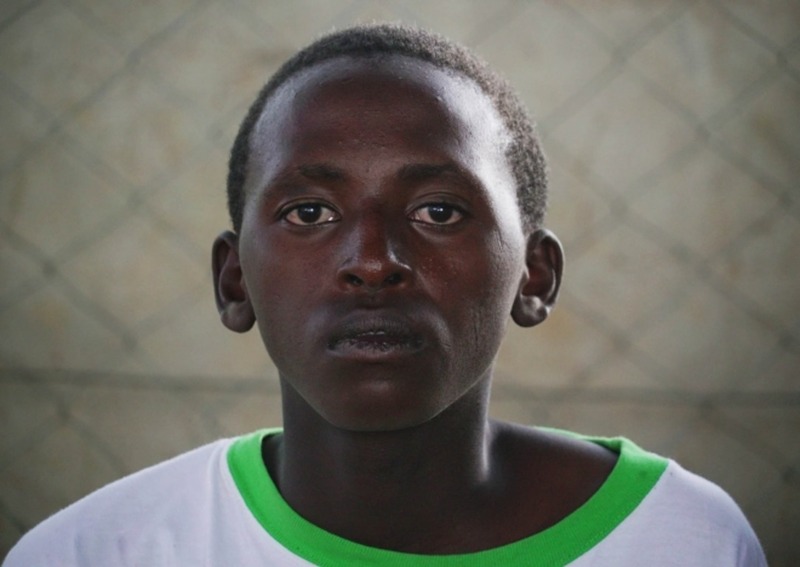 Dubbed “The Kenyan street kids saved by skateboarding,” Mwangi and Ezra “Balotelli” (named after the Italian soccer player) are two young boys in Nairobi that had two simple dreams: live in a house and go to school. Oh, and skate. When the neighborhood skating community realized the two kind kids hanging out at the park were homeless and hungry, they started a crowdsourcing campaign to help get them on their feet and into school (and on boards). We first learned about The Keedz from our friend Brianna Lance who found their story both distressing and inspiring. “They had nothing, but found and followed their passions anyway,” she says on the phone from New York. “Plus, in a world of big picture problems it’s amazing to have a finite dollar amount that you know will save two lives.” Donating to and campaigning for the major causes like Planned Parenthood and EveryTown are vital but sometimes it’s nice to know that your ten bucks is really going to exponentially improve the life of one (or in this case, two) humans. Now living with fellow skater and college student George they’re at the top of their classes, sheltered and well-fed, but sadly this much-improved lifestyle isn’t permanent. Plans for their future housing and school options are being made and any little bit helps whether it’s ten or 100 dollars. All of the fundraised money goes straight to their class fees and livelihood. A t-shirt designed by Balo (as show below) is another way to support the boys. 100% of proceeds go to the Kenyan Street Kids campaign! Shop the shirt here. 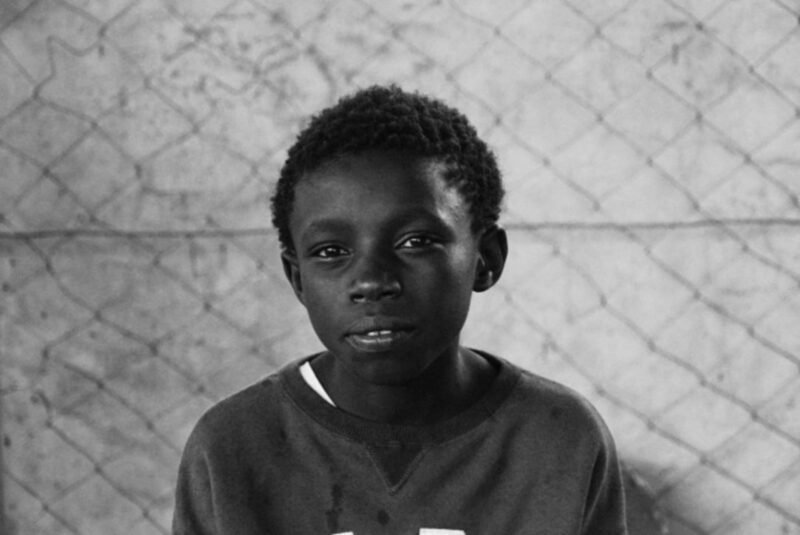 You can donate directly to the Kenyan Street Kids campaign here. For updates, follow The Keedz on Instagram, Twitter and Facebook. 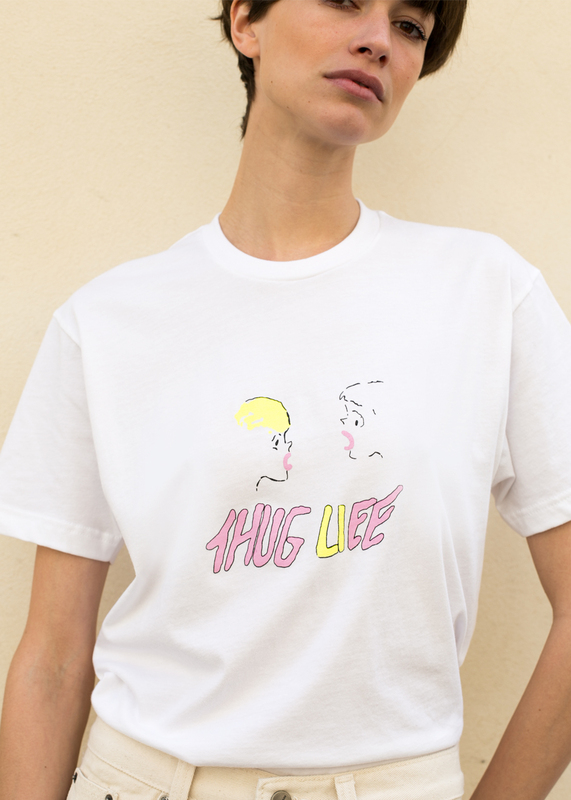 The "Thug Life" tee designed by Balo. All profits from t-shirt sales will benefit The Keedz.